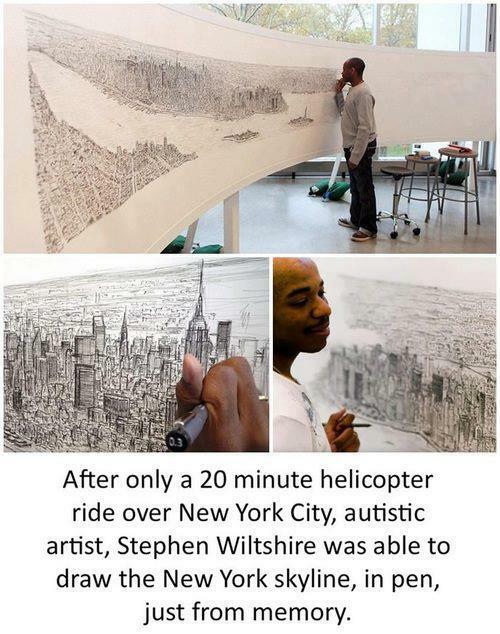 AutismWonderland: We Don't Ride in Helicopters and The Boy Can't Draw the Skyline from Memory Either. We Don't Ride in Helicopters and The Boy Can't Draw the Skyline from Memory Either. I don't what it was about last week but for some reason this Stephen Wiltshire photo was making the facebook rounds. For those who don't know, Stephen Wiltshire is an autistic savant and The Boy - obviously, hence this blog - is autistic too. Someone tagged me in this photo. Two or three posted this on my wall. Someone sent it via facebook message. And someone else emailed it to me. There captions were all pretty much the same: "WOW!" "OMG!" or "AMAZING!" I know why they sent it. It's sweet, they are thinking of me. Of us. The Stephen Wiltshire story came out in 2009 (maybe earlier). I've seen it. The Boy is not autistic like Stephen. And for me, The Boy's art work is just as WOW worthy as Stephen's. 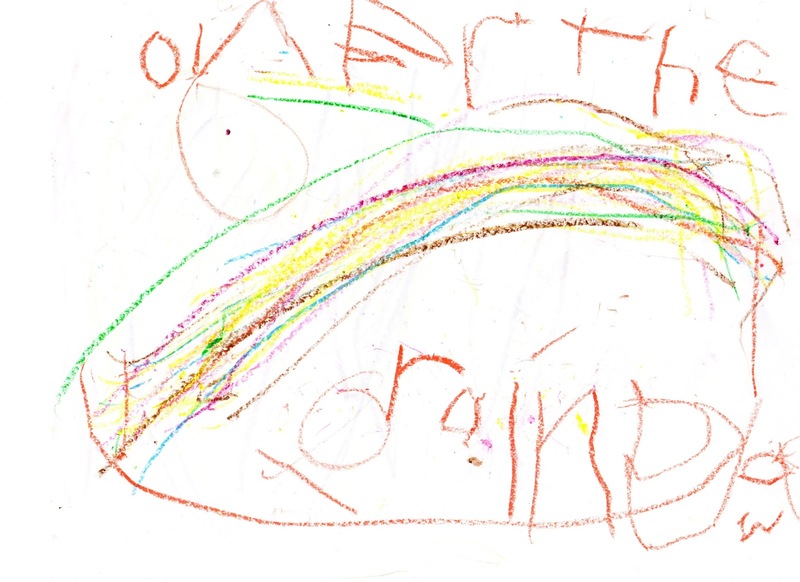 So thank you to all who shared Stephen's art with me but The Boy's autism is not like Stephen's. Check out other autism myths & misconceptions I've heard by clicking HERE, for my lastest Autism Hopes post Parents.com blog post on To The Max.